Residents will see a tax increase of $13. 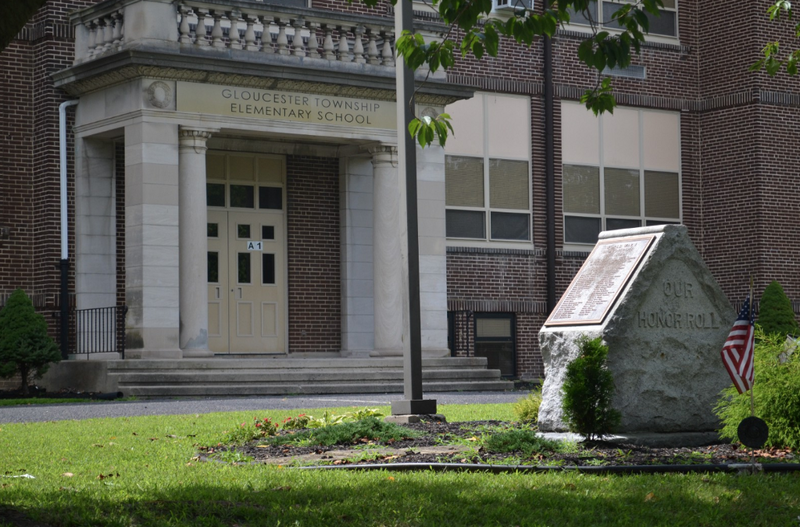 At its latest meeting, the Gloucester Township Board of Education approved its 2018–2019 budget. Next school year’s total operating budget stands at $116,771,557, which includes a general fund total of $112,780,087 a special revenue fund total of $2,861,870 and a debt service total of $1,129,600. The district is receiving more than $52 million in state aid — about a $448,000 increase since last year. The general fund tax levy, which totals $49,630,311, represents a 2.93 percent levy increase because of increased health-care costs and the use of $162,098 in banked cap funds from the 2017–2018 budget. Homeowners of an average assessed property in Gloucester Township, which is $188,000, will see an annual increase of a little over $13. While the $4.7 million net increase since last year’s budget includes projected salary increases and projected benefit increases, the hike is predominantly attributed to upcoming capital projects, particularly the construction of a new roof on Ann A. Mullen Middle School. About $4.8 million in the general fund budget will go toward the new roof project, which is scheduled to begin this summer. The capital project will come from the district’s capital reserve account and therefore not increase local taxes, according to the district. This funding is left over from the prior school year, according to Superintendent John Bilodeau. Despite pushback from the community in the first few months of 2018, the project was approved by the board in March. One major concern was the cost of the removal and replacement of the roof’s solar panels, which were installed in 2013. According to the project overview, the removal and replacement of the panels will cost $275,800. The board has been brainstorming a replacement roof since 2013. About 6.9 percent of the leaks, are in the rooftop solar panel area. The other 80, or 93.1 percent, are found in other shingle roof sections and flat roof areas, according to the project overview. Approximately 10 percent of the roof contains solar panels, which are not the district’s property. Residents were also concerned with line-item costs projected by Waterproof Technologies, Inc. (Tremco), including $20,800 for sweeping debris. The 2018–2019 budget projects no cuts from all existing programs and services in kingertargen through eighth grade, including the renewal of a shared services agreement with the township for the funding of three school resource officers. At the meeting, the three-year contract was passed by the board with two “no” votes from Jennifer O’Donnell and MaryAnn Johnson. The agreement, which was passed by Gloucester Township Council in March, costs the district about $300,000 per year. The contract hires three Gloucester Township Police Department SROs, plus a drug-enforcement officer, designated to the 11 schools throughout the Gloucester Township public elementary and middle schools. The three-year SRO contract, which starts in July and ends in June 2021, funds officers who are primarily based at the middle schools but must also patrol the elementary schools. However, as stated in the contract, these officers can go to other schools outside of the district, but other law enforcement must cover in their absences. O’Donnell and Johnson expressed concerns related to the contract, saying a security committee should review safety measures before the board goes forth with the same three-year process. O’Donnell suggested tabling the resolution. “We’re looking to just renew an existing agreement that we’ve had no problems with,” said board President Mary Jo Dintino. The building and grounds committee has been looking into other security measures, but they haven’t been brought to the board yet, according to Dintino. O’Donnell also noted changes from the prior contract, saying the new agreement does not require the chief of police to engage in consultation with the superintendent and the board. Bilodeau said he doesn’t know why this particular clause was removed when the district received a successor agreement which was examined by the board solicitor. “I was confident it would be a good three-year contract for this district,” he said. Johnson broke down the costs and logistics of the agreement, as the district pays $555 a day for the SRO services. With two of the three officers assigned to four schools each and one officer assigned to three, there’s a 75 percent or 66 percent chance that if there was an active shooter in one building, the officer would not been present, according to Johnson. “While you can’t put a price on a life, I feel that $1.2 million that we have spent over the past four years is entirely too much and we have nothing to show for it,” Johnson said. She questioned why the district has to pay an additional $300,000 per year when the township is already spending $18 million of its new budget on public safety, referring to Councilman Dan Hutchison’s statement at last week’s township budget public hearing.